These students feel a great deal of pressure, and for good reason. The celebration yesterday was celebrating the end of their regular school year. These students still have the exams to take and a class safari trip. (There are some great benefits to growing up in Africa!) At this celebration there was much talk about these upcoming exams. When Mark Gwartney, our team leader, spoke to the students, he also talked about this exam. He talked about how this test is important and may feel like a lot of pressure, but there is a more important test, the testing your heart to determine whether Jesus is your Lord and Saviour. All you have to do for this test is to acknowledge your inability to be right with God on your own and to receive the righteousness of Jesus through faith. While the results of their academic test will have many implications for their lives, the results of this Spiritual test have implications for both this life and the life to come. I was so thankful that Mark had this opportunity to share the gospel with these students and their families one more time before they leave school at GSF. Most of these students come from the nearby villages and are from a variety of religious backgrounds. The students from the school have historically scored well on these tests, so many families send their kids to the GSF school even though they are not Christians. 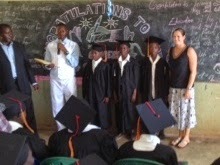 As you think of the ministry here at GSF, please pray for these students as they prepare for this important test. 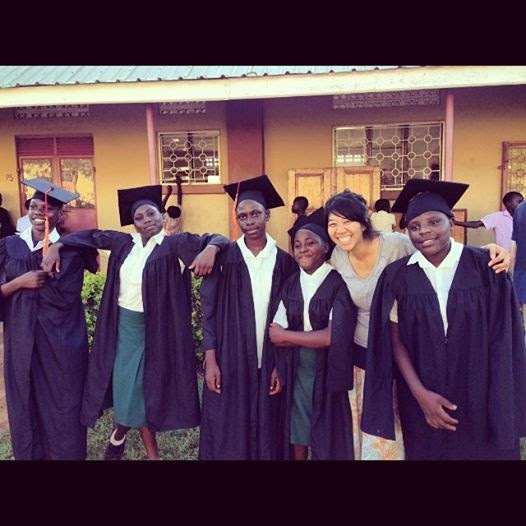 (To the left is a photo of our nurse, Kim, and the GSF kids who are finishing their P7 year of school.) Also pray that the families who have heard the good news of righteousness and salvation in Jesus Christ will come to faith in Jesus. Please pray for us to know how to encourage, comfort and point to Jesus as we talk wit the kids who live at GSF who are also preparing for this exam. It is so good for all of us to remember that our lives are in the hands of our Saviour who loved us so much that he sacrificed his own life, that we might be children of God. When I get anxious and worry about the future this is my greatest comfort.